I always prefer a fresh fruit smoothie over the frozen kind. 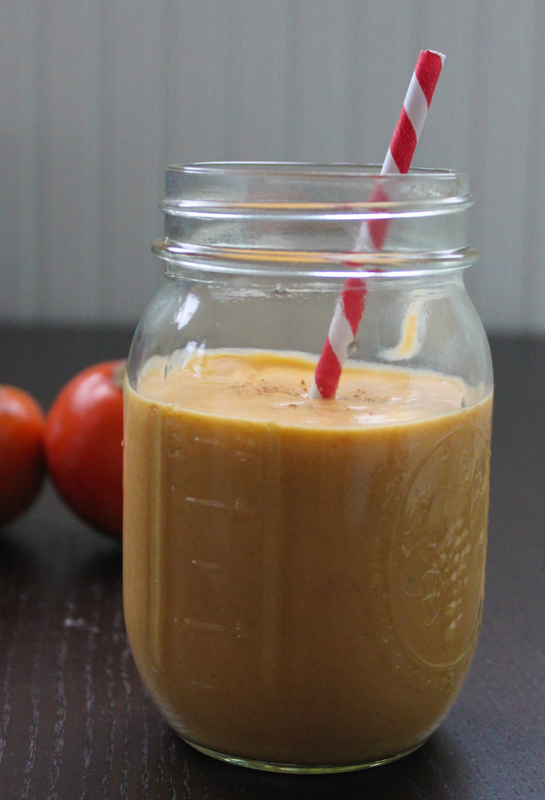 And this seasonal smoothie is no exception. 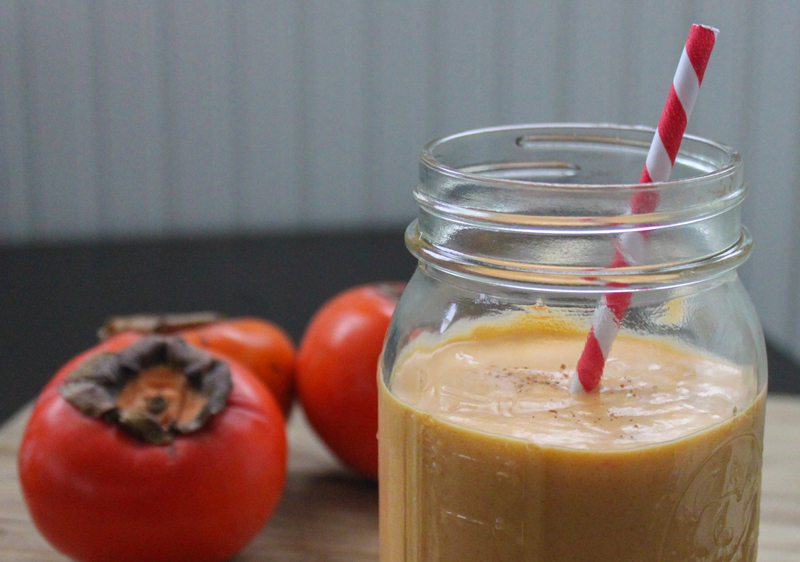 With coconut milk, orange juice and ripe persimmon, this drink is earthy and sweet, spicy, and just slightly tart. Oh, and it is vegan! 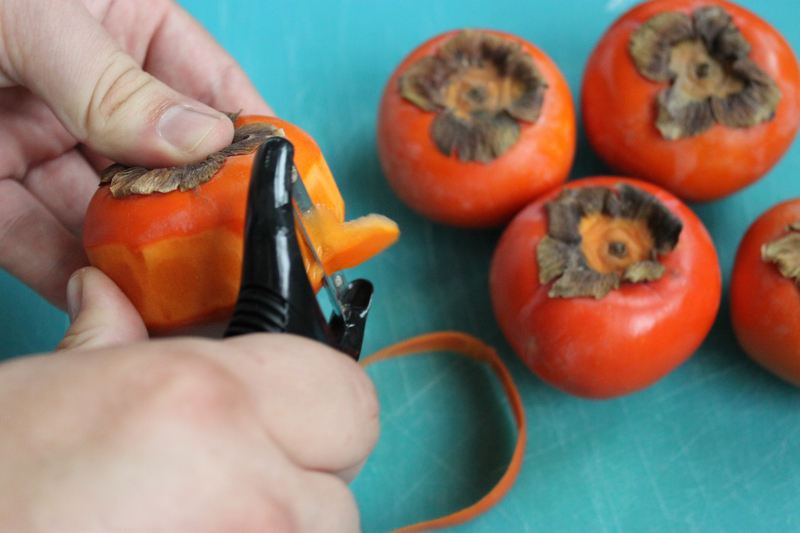 Peel the three persimmons. Sure, you can leave it on, I usually do for most meals using the fruit. But here this is really just a texture preference for me. To make sure you are using the best fruit out there, check out my video on picking the perfect persimmon. 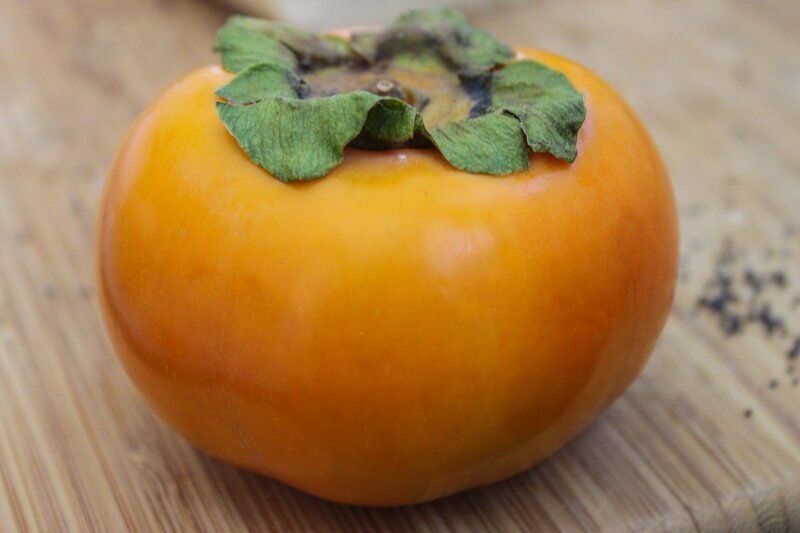 NOTE: NOTE: Commercially speaking, there are two types of persimmons: the hachiya variety and the fuyu variety. Hachiyas are heart-shaped and need to over ripen before eating. They taste kinda furry otherwise. 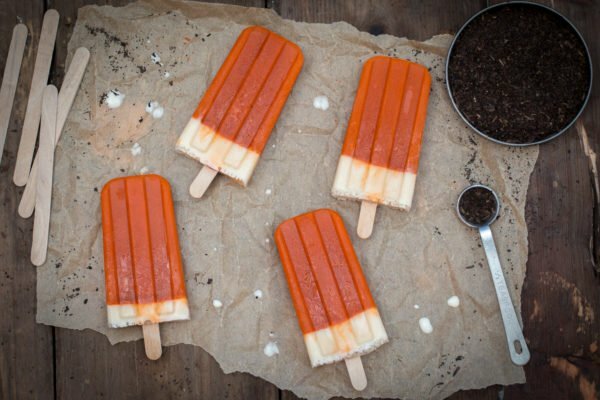 This variety is perfect for baking with. Fuyus can be eaten just like an apple. When persimmons are harvested, they are simply clipped above the calyx-the fruit's outer flower. The calyx is pictured above. it's the green dried-out looking leaves on top of the fruit. 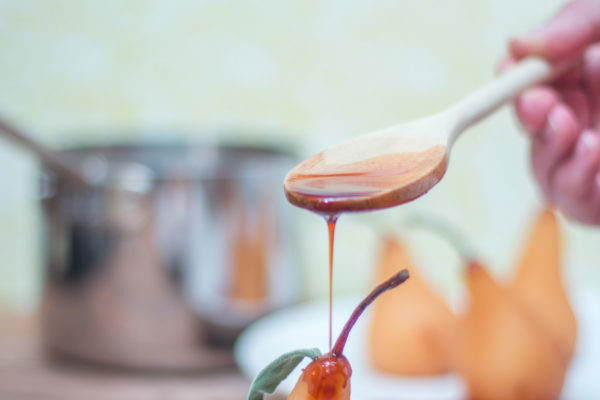 As the fruit ripens, removing the calyx is quite simple. 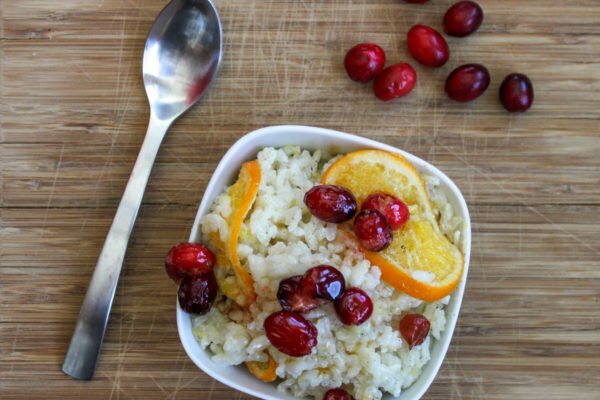 Cut them into small pieces, removing any found seeds. We don't want chunks of that in the smoothie. Barf! Add the fruit, 1 cup of coconut milk, and the juice of 2 oranges together, and blend the ingredients until they are super smooth and creamy.